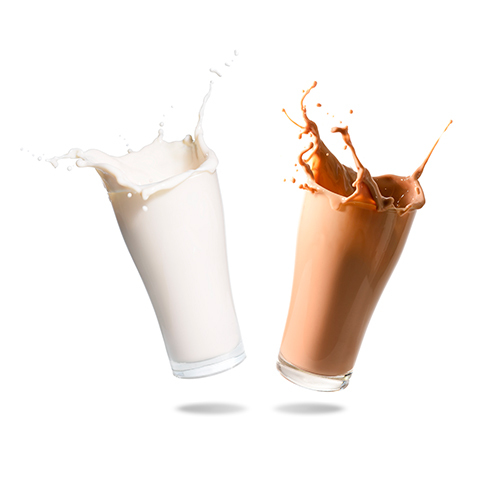 Mixtures can include natural or synthetic products, or chemicals. This versatility provides a wealth of applications in fields such as food, cosmetics, pharmaceuticals and chemicals in general. The variety of products with different viscosities and the difficulty in mixing immiscible substances, or of fragile stability has led us to study and develop new designs of equipment that can meet these specifications and manufacturing processes. 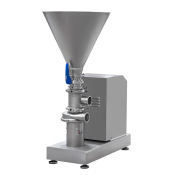 This kind of equipment is used to manufacture food products, cosmetics, or drugs in the liquid or viscous phase. For example: sauces, pates, creams, jams, smoothies, syrups, ointments, gels, etc. The homogeneity of the material obtained by mixing varies depending on the process, material type, and its viscosity. Mixing has several functions depending on the nature of the materials used: joining two miscible liquids, dissolution of solids in liquids, dispersing a gas in a liquid, mixing or dispersing two immiscible liquids, promoting heat transfer between a surface and a liquid, dispersing fine particles in a liquid, or emulsifying two media with or without an emulsifier. The agitators used in these systems can be classified into four types: anchor, propeller, blades and turbine. Depending on the angle between the blades or paddles and the plane of rotation of the stirrer, they can be of axial or radial flow type. The rotating movement of the agitator has two components: vertical and tangential. 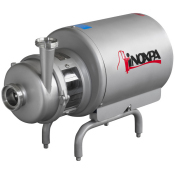 The tangential one pushes the product to the walls of the tank thanks to the centrifugal force that makes the product enter into the rotating movement. The baffles are vertical plates which are arranged perpendicular to the tank wall and designed to prevent the product from rotating. The flow type depends on the agitator. A propeller agitator creates strong vertical currents, which help maintaining particles in suspension. 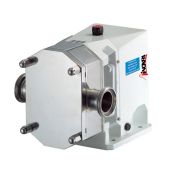 The flow of a blade type agitator is radial and does not have vertical currents. The turbine flow is radial and axial. 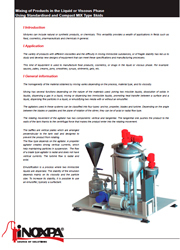 Emulsification is a process where two immiscible liquids are dispersed. The stability of the emulsion depends mainly on its viscosity and the particle size. To increase its stability, it is possible to use an emulsifier, typically a surfactant.